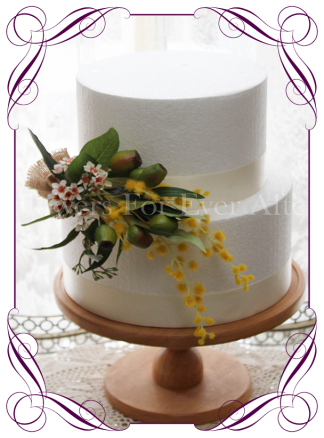 Features berries, Geraldton wax flowers and gum foliage. 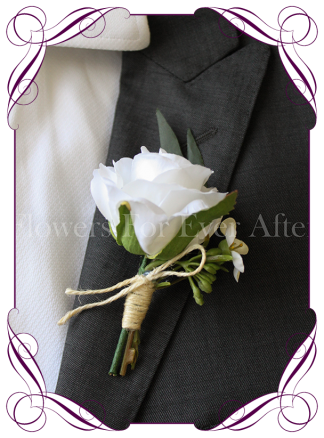 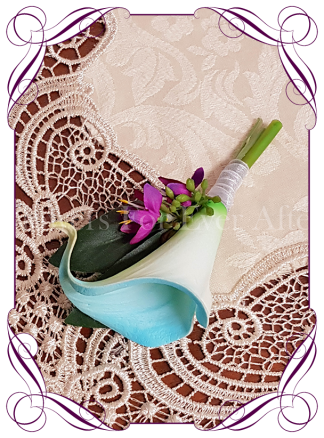 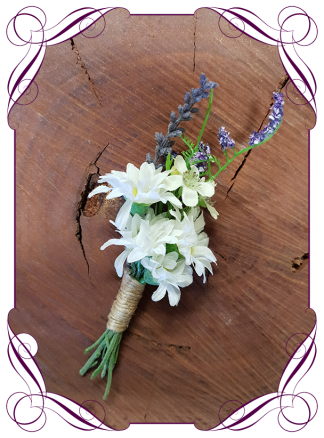 Corsage pin included. 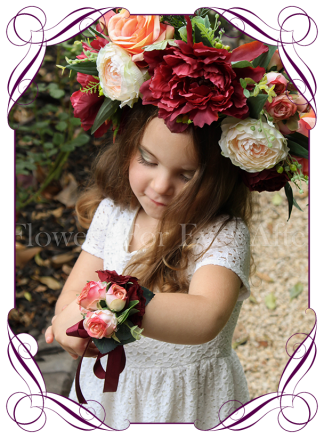 ***Any bouquet package orders over $450 will also receive a free matching throw/toss bouquet.